Extensive research over the last twenty five years shows that the use of well-validated assessments can substantially lower the risk of hiring the wrong person. Many executives are good interviewers, often give a good first impression and have a strong resume, yet there are many unknowns – what drives and motivates them? How will they fit into your existing team and culture? Caldwell has partnered with The Predictive Index to deliver an integrated executive search and assessment process that provides deeper insight into workplace behaviors – what uniquely motivates and drives an individual – and fosters efficient and effective integration into an executive’s new role. Create unique job targets displaying the behavioral requirements the best fit candidate will likely possess for a respective role. Administer behavioral and cognitive assessments to scientifically measure the candidate’s predicted behaviors and learning agility relative to the job target. Provide guidance to optimize team communication, and for effective onboarding. This integrated process, helps our clients hire the right people, and then manage and inspire them to achieve maximum business results as fast as possible. 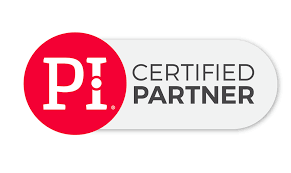 Contact us at pi@caldwellpartners.com to learn more.